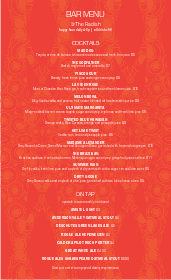 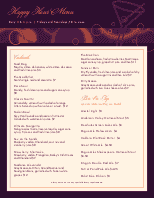 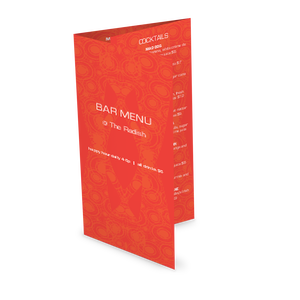 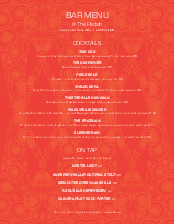 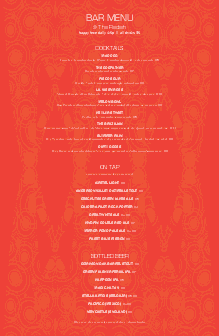 A whimsical bar drink menu with a brightly patterned orange background. 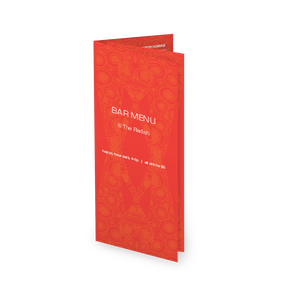 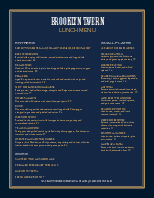 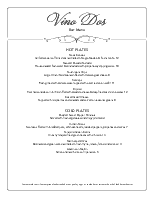 This menu can be used for a casual outdoor cocktail lounge or a tavern specializing in fruity, fresh drinks. 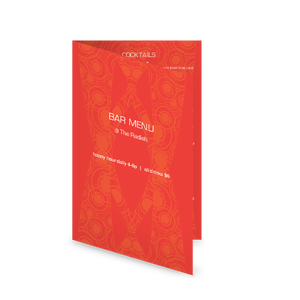 One long column of cocktails is topped by a deco style drink glass. 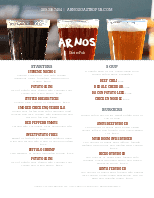 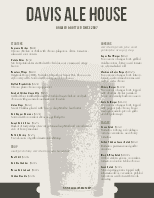 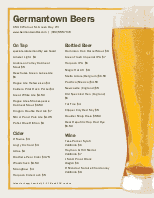 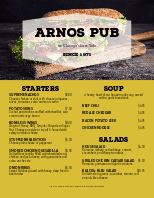 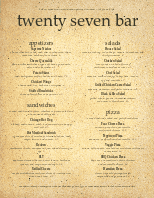 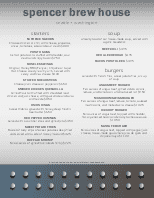 Use this design to create your own Bar menu.